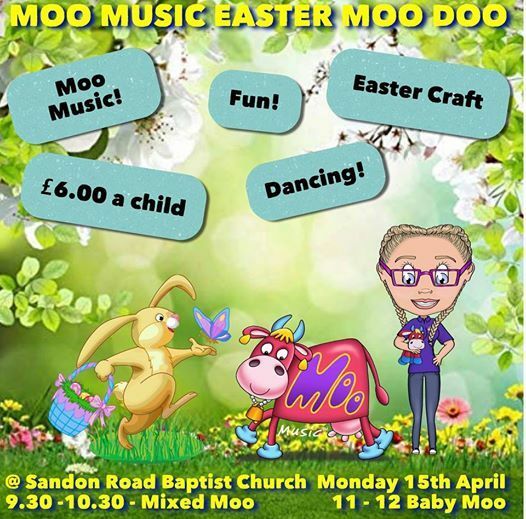 We are very pleased to announce our Easter sessions which will take place on Monday 15th April at Sandon Road Baptist Church. We will be offering two separate sessions, one at 9.30 for little ones aged 0-5 so ideal for siblings and friends of different ages and another at 11.00 for 0-1's! 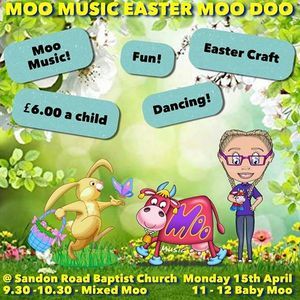 The Mixed Moo class at 9.30 will be an hour with all original Moo Music, dancing, moving, playing and a themed Easter craft. 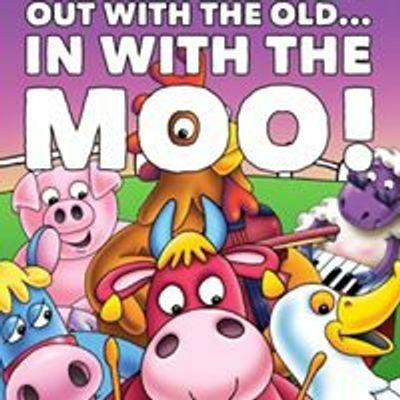 At 11.00 we will hold a Baby Moo session for non-mobile babies under 1 year old, and enjoy a 30 minute music session, a baby fun craft and have a cup of tea afterwards!